The market has changed. What was once defined as “digital health” is converging across all health sectors – in other words: digital health = health. 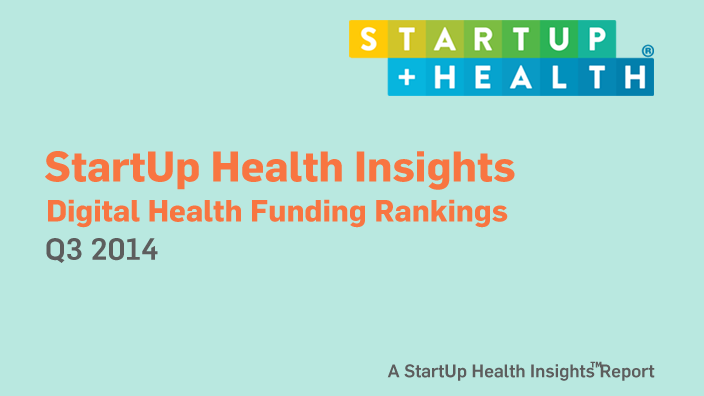 The 2019 Q1 StartUp Health Insights reflects this critical evolution and digs deeper into the Health Moonshots that are transforming the world. Welcome to the most-funded year ever in digital health. Globally, investors demonstrated long-term commitments, as well as overall growth potential in the market. The digital health market is as potent as ever. A new benchmark has been set in the digital health market in Q3 2018, surpassing 2017 Q3 funding by almost $2B, hitting an all time high Q3 mark of $11.1B. The first half of 2018 has brought an increase in deal volume and a total of $6.1B invested in digital health companies across the globe - showing a heightened confidence in the sector. 2018 Q1 continued the wave of digital health investment activity - the most deal volume of any first quarter since we’ve been tracking data - totaling $2.8B of investment across 191 deals. 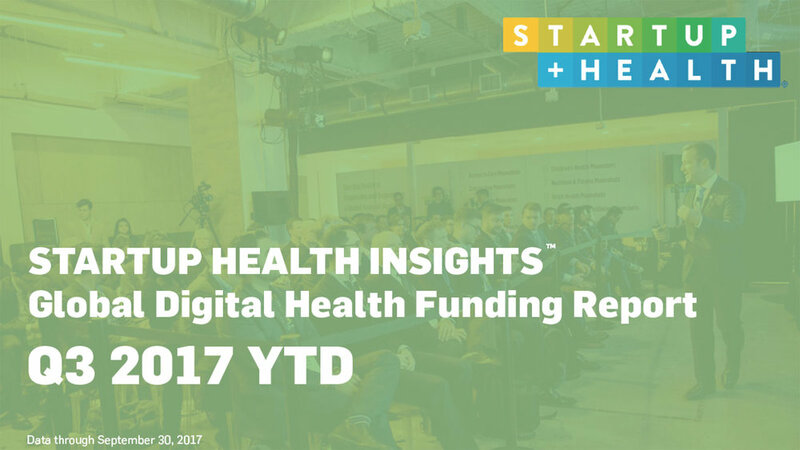 As predicted, digital health investment reached new heights in 2017 with $11.5B in funding across 794 deals. Looking beyond the numbers provides insight into a sector transitioning to a more mature phase. Digital health funding broke all previous records in Q3, with 2017 YTD funding surpassing $9.0B. 2017 has already surpassed previous years in overall funding and the number of new and unique investors focused on digital health. Hear from Unity Stoakes & Troy Bannister as they discuss this record breaking quarter and other notable highlights and trends to watch in the year ahead. 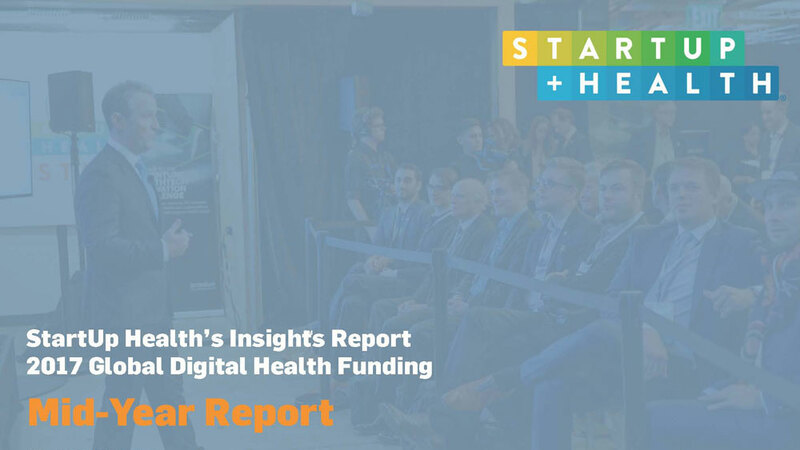 If the first quarter of 2017 is any indication of what’s to come, 2017 is going to be another important year for digital health funding. 2016 was the beginning of the health sector’s ‘Moonshot Movement.’ Thousands of entrepreneurs, industry leaders, and investors, coupled with a generation of new industry entrants started to rethink the future of health. 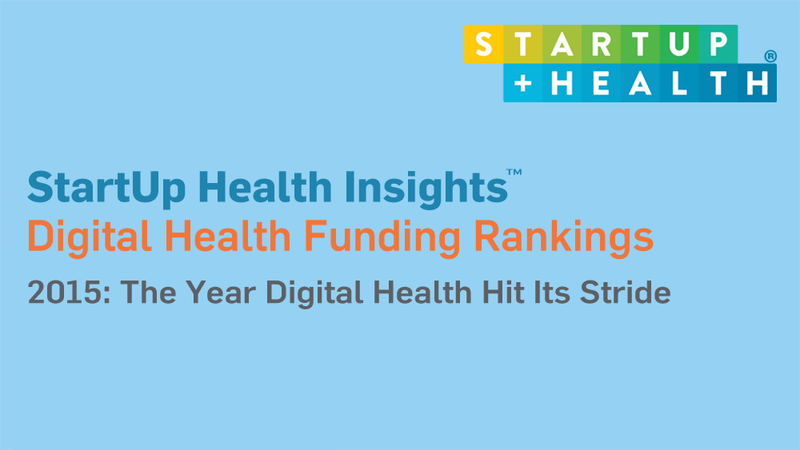 2016 is on track to be the biggest year yet for digital health funding. Q3 was significant with almost $2.4B in deals, nearly half of which were international. The digital health market broke historic records for midyear funding as investment reached $3.9B. 2015 was the year digital health funding hit its stride, and 2016 has already stepped it up a notch with a record-setting first quarter. 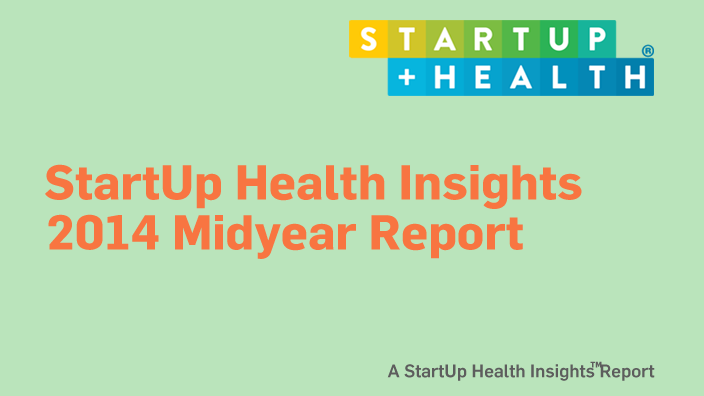 While 2014 was the year that digital health broke out, 2015 was the year it hit its stride. 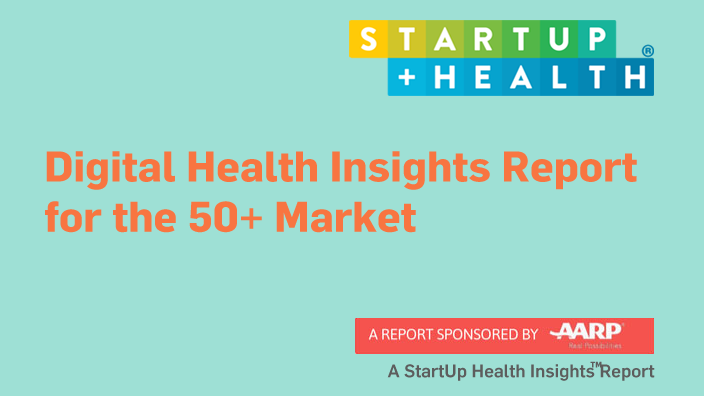 Troy Bannister and Unity Stoakes of StartUp Health discuss the current trends in digital health investing, published in the Q3 2015 Insights Report. Q3 2015 continues to demonstrate a trend towards digital health market maturity with an increase of investment dollars combined with larger, less frequent deals. The digital health market continues to mature as evidenced by several defining deals in the first half of 2015, including Zenefits’ $500M round and Fitbit’s pivotal IPO. Coming off a hot funding environment in 2014, this year is off to a slower start. Although less capital was invested in Q1 2015 than in Q1 2014, we believe this is due to an increase in investor focus and a sign of a maturing market. 2014 was a record year for digital health with $6.5B invested, a 125% increase from the total amount invested in 2013. 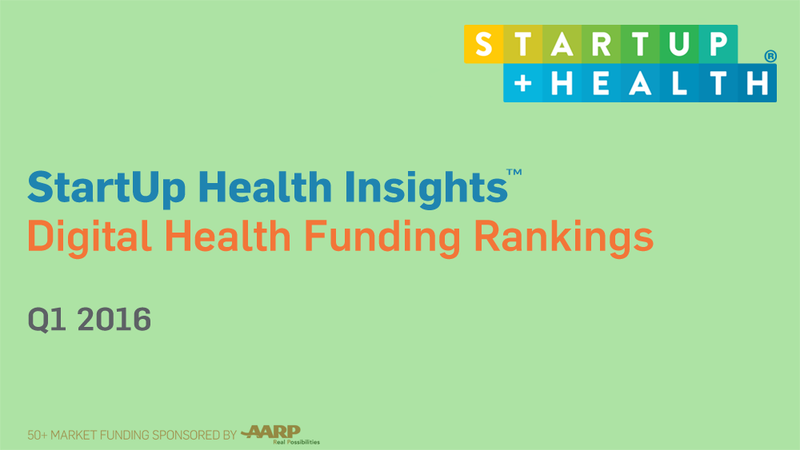 As the overall digital health industry continues to expand, startups serving 50+ consumers - either directly or through providers, payors and other healthcare stakeholders - are increasingly attracting investment. 2014 is shaping up to be another record year for digital health, with $5 billion invested in the first three quarters of the year. Funding into the digital health sector continues to accelerate, with the first half of 2014 already surpassing total funding in 2013. Our new report takes a closer look at the top venture capitalists in 50+ investing and the hottest areas of investment. Re-imagining health and wellness, the conditions are set for an epic decade. 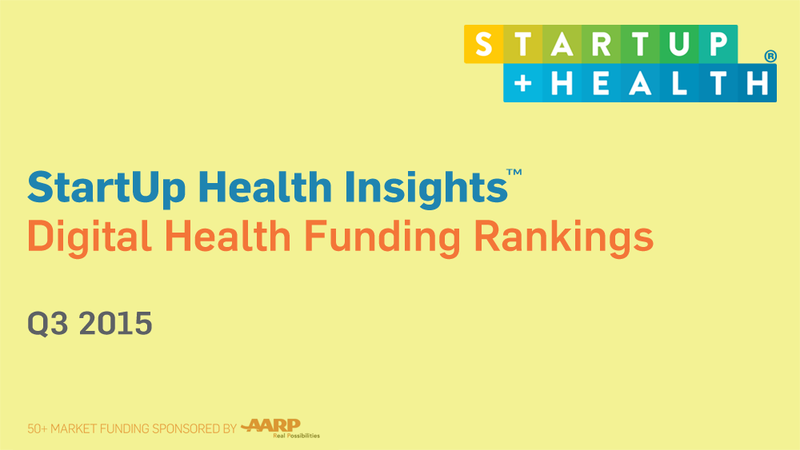 StartUp Health and AARP announce the first ever digital health funding insights report evaluating the 50+ market.